Congress returns to Washington for its first full week of legislative business since control of the House reverted to Democrats, with no end in sight for the partial closure. Mike Pompeo met Monday with Saudi leaders on the latest stop of a tour that has so far been dominated by questions and concerns about the withdrawal of U.S. troops from Syria. 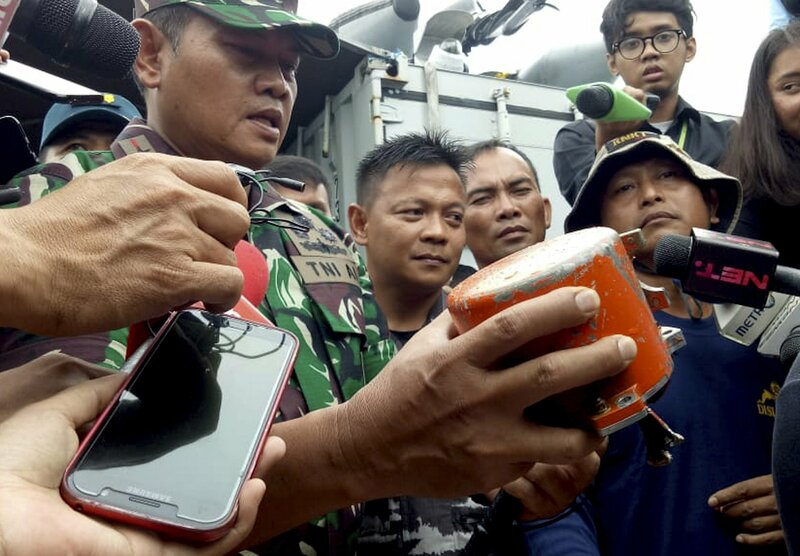 Indonesian navy divers have recovered the cockpit voice recorder of a Lion Air jet that crashed into the Java Sea in October, killing 189 people. Prime Minister Theresa May plans to tell lawmakers she has received further assurances about her deal from the EU, a last-ditch attempt to win support ahead of a key vote Tuesday. 5. MADE IN CHINA, SOLD TO THE U.S.
China’s 2018 trade surplus with the U.S. surged to a record $323.3 billion but exports contracted in December as the delayed impact of President Trump’s tariff hikes started to depress demand. Trump often points to farmers as among the biggest beneficiaries from the administration’s proposed rollback of federal protections for wetlands and waterways, but developers and other industry owners could be the big winners, making it easier to fill in bogs, creeks and streams for plowing, drilling, mining or building. Polish blood donors were coming forward in droves in a bid to save the life of Gdansk’s mayor, who needs transfusions after being stabbed in the heart and the abdomen at a charity event. Young backbench lawmaker Juan Guaido has emerged as a key power broker as he leads the opposition-controlled congress in a high-stakes standoff with socialist President Nicolas Maduro. Jackie Heinricher has put together an all-female team of drivers that will debut at the Rolex 24 at Daytona, one of the most prestigious endurance races in the world. Alicia Keys, Patti LaBelle, Celine Dion and more perform some of the late Aretha Franklin’s biggest hits in a tribute concert hosted by Tyler Perry.